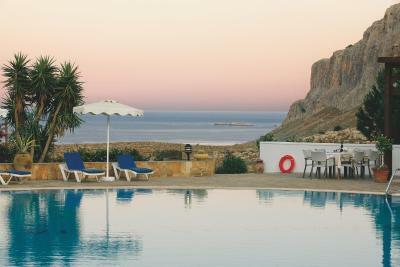 Lock in a great price for Ville Di Lindos – rated 9.7 by recent guests! all great. beautiful pool. gracious staff. beautiful views. Beautiful hotel and grounds, staff are superb and the restaurant and food was amazing, loved it. This is our second time in this hotel. I really like the garden design, with beautiful flowers, trees, a playground for children on grass. Rooms are big, you can cook in the room, there are all neccesary appliances in the room fir cooking and a fridge for keeping food. 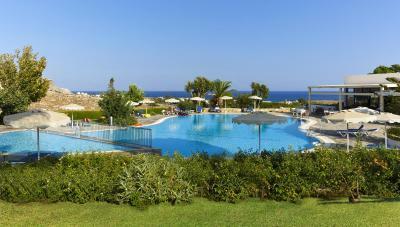 Hotel is near St. Pauls Bay, most beautiful beach in the island and lovely Lindos village. As the hotel is far from Old Town it is better to rent a car. The owners are lovely people, helpin about every little detail you need with smiley face. Thanks to İrene and her boys. The owners and staff are so nice! Swimming pool so relaxing. Breakfast so tasty. Great location, lovely and quiet and friendly staff. 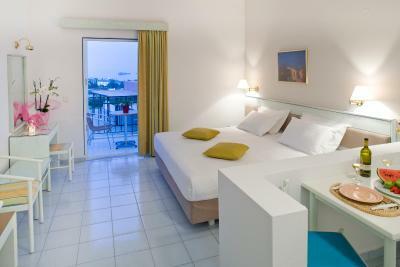 Very clean, bright and modern rooms with a large comfy bed! Beautiful property and view. Exceptional staff who really go the extra mile! The property also has a great onsite restaurant. We really liked the hotel. The room was lovely, so was the pool, food and staff. We checked in early which was really useful for getting to the wedding we were going to. The hotel is a little outside of Lindos centre but perfect for what we needed. Staff very friendly, restaurant really delicious, and two lovely little dogs. Room very spacious and clean. 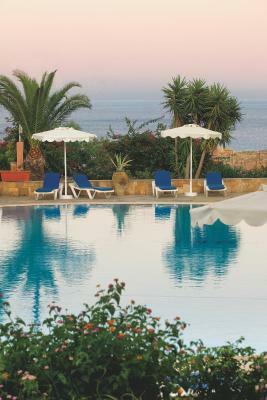 Beautiful view of the pool and the sea. 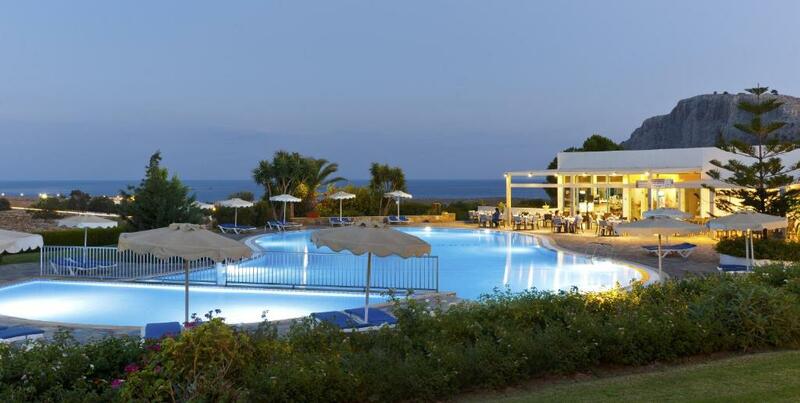 Great family-run hotel, helpful staff, lovely pool, amazing restaurant ! Great Greek food you couldn't top it, amazing staff, we were very well looked after from the moment we arrived. 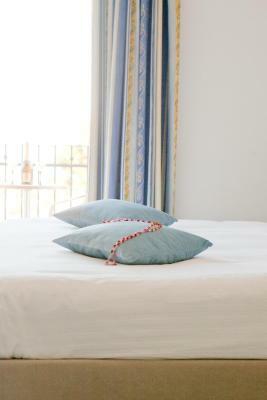 The family are very welcoming and look after you very well, the rooms are spotless and the setting is gorgeous. We are just gutted that we had to leave. Love to everyone at the villa. Thank you for having us and hopefully we can return in the future! 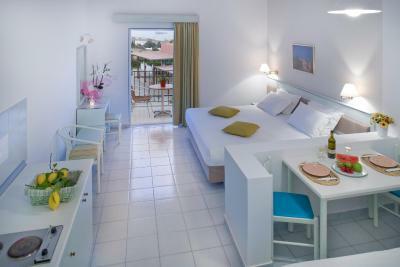 Ville Di Lindos This rating is a reflection of how the property compares to the industry standard when it comes to price, facilities and services available. It's based on a self-evaluation by the property. Use this rating to help choose your stay! 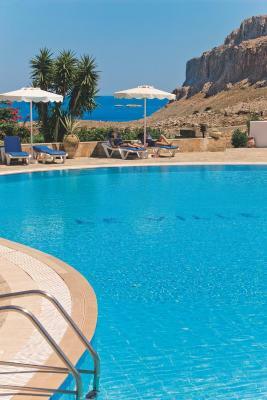 Located 0.9 mi from Pefkos Beach in Rhodes, Ville di Lindos features a pool and free Wi-Fi. 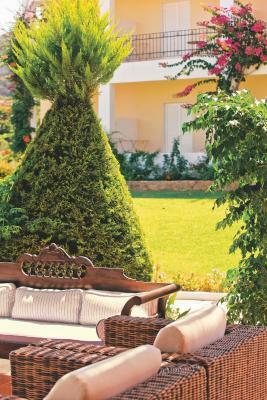 The self-catered rooms offer a balcony overlooking the Aegean Sea or the garden. 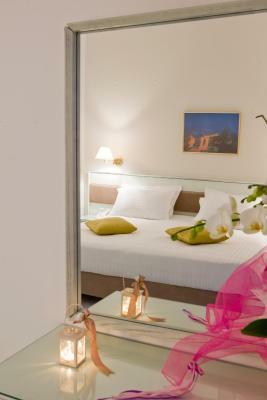 The air-conditioned rooms of Hotel Ville di Lindos are equipped with a TV. Each has a kitchen or kitchenette with cooking hobs. Some include a living room and a patio with access to the colorful gardens. 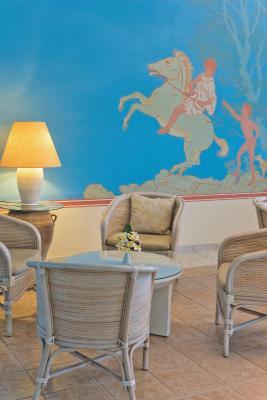 At the hotel’s restaurant, guests can enjoy Italian and Greek dishes. In the evening, the pool bar plays relaxing music and serves drinks and cocktails. 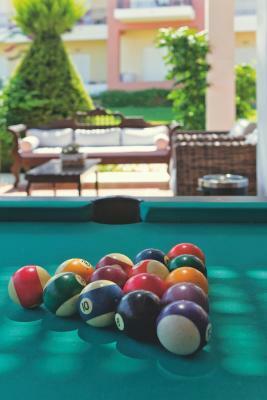 Ville di Lindos offers pool tables as well as a playground for younger guests. Lindos is just 0.9 mi away. 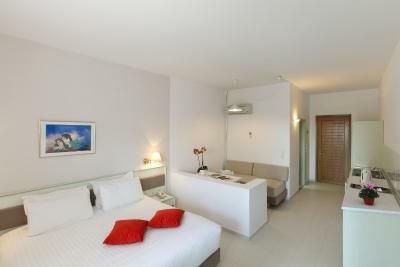 Hotel staff can arrange car rental and provide information on nearby beaches. The city of Rhodes is 29 mi away and Rhodes International Airport is at 31 mi. 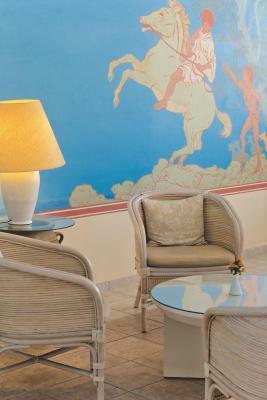 When would you like to stay at Ville Di Lindos? 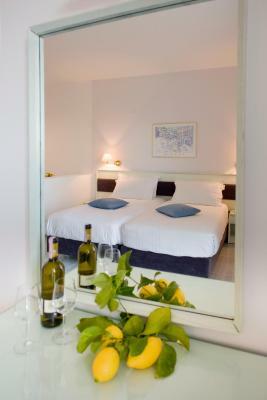 Spacious, self-catered and air conditioned studio features a balcony with sea, pool or garden view. Some include a living room and a patio with access to the gardens. Spacious, split-level or single-level apartment including a living room, 2 bathrooms and a kitchen with dining area. 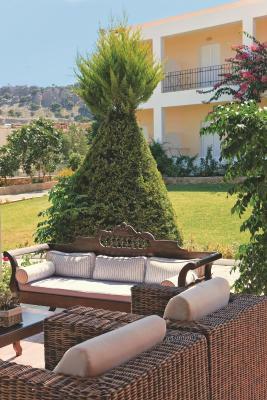 Features a veranda with sea and garden views on each level. The unit offers privacy as the upper room has a door which separates it from the rest of the apartment. 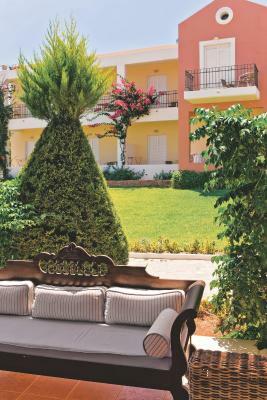 Soundproofed room featuring a balcony overlooking the sea, the pool or the garden. Equipped with a TV, phone, kitchen with cooking hobs, fridge and kitchenware. 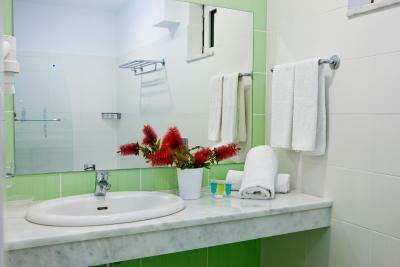 The bathroom is stocked with toiletries and a hairdryer. Some units include a living area and a patio with access to the gardens. 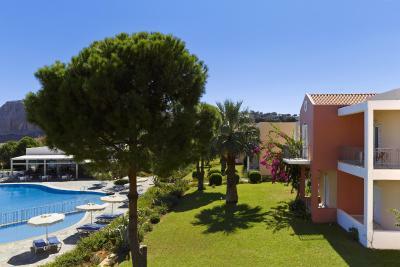 Soundproofed room featuring a balcony overlooking the sea, the pool and the garden. Equipped with a TV, phone, kitchen with cooking hobs, fridge and kitchenware. 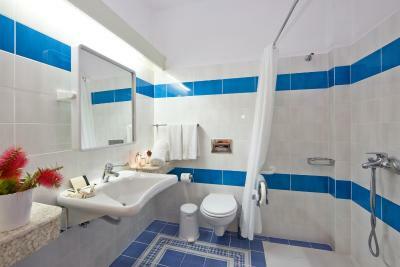 The bathroom is stocked with toiletries and a hairdryer. Some units include a living area and a patio with access to the gardens. 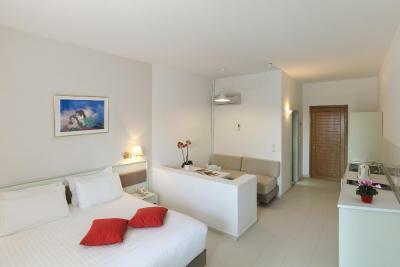 This spacious and air-conditioned studio features a balcony with pool views. Some include a living room and a patio with access to the gardens. 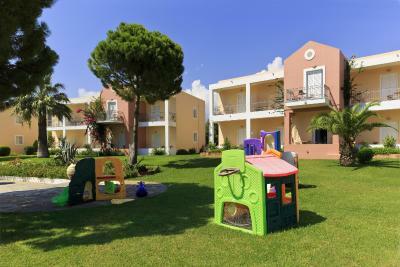 Soundproofed room featuring a balcony overlooking the sea, the pool or the garden. 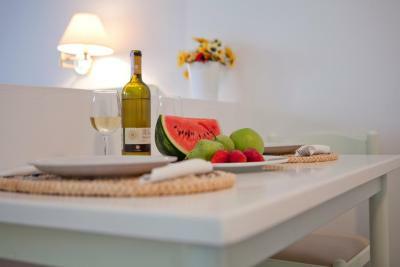 Equipped with a TV, phone, kitchenette with cooking hobs, fridge and kitchenware. Some units include a living area and a patio with access to the garden. This studio has a balcony with garden views, soundproofing and kitchenware. House Rules Ville Di Lindos takes special requests – add in the next step! Ville Di Lindos accepts these cards and reserves the right to temporarily hold an amount prior to arrival. Everything - a lovely hotel, well maintained and nothing is too much trouble. Excellent food in the restaurant and great value. Thank you to Irene and her family for making our holiday so special. Great hotel, made to feel very welcome by all the family. A late drink and a sandwich provided at 00.30 after a delayed flight was a very nice touch. The pool area is very relaxed and tranquil with plenty of sun beds and umbrellas. Good variety of food available from breakfast through to evening meals. 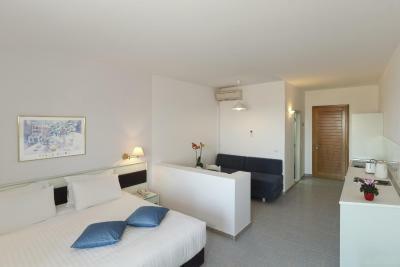 Large room , very clean. A little bit outside of the main village but an easy bus or taxi ride. If you just want to relax it’s a great hotel. Extremely friendly, family-run place; very clean, great pool; good food. 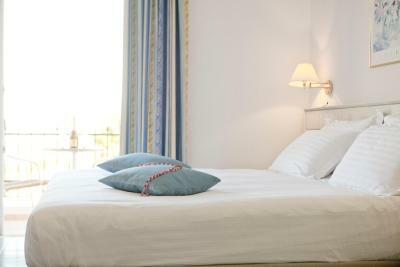 Makes your stay a lot more pleasant, when people always meet your every question with a smile.... Great beds too! There isn’t really anything in walking distance - no shops or restaurants. 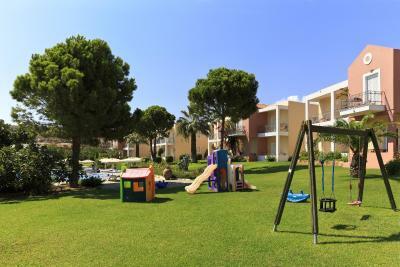 You can get the bus directly outside the property or car hire is reasonably priced. Very helpful staff - they took us to the nearby town in their car when we could not get a taxi and would not take any money for doing so. 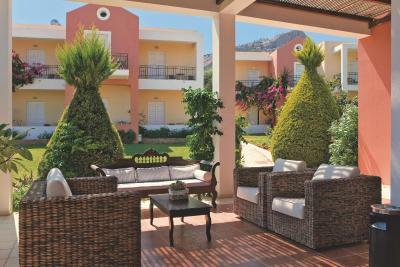 Pool area is lovely; always sun beds and umbrellas free for everyone. Restaurant food is very nice - we ate here several times. 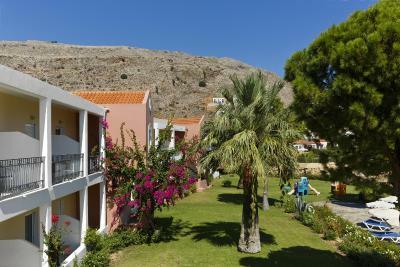 Lindos and Pefki are close by (5 mins to drive), and the restaurants and beaches here are great. 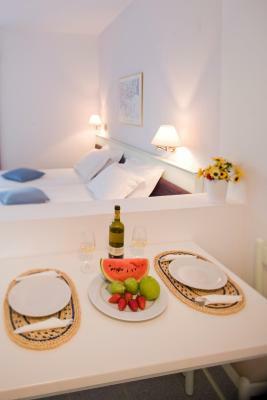 Fantastic accommodation with brilliant staff to look after you. 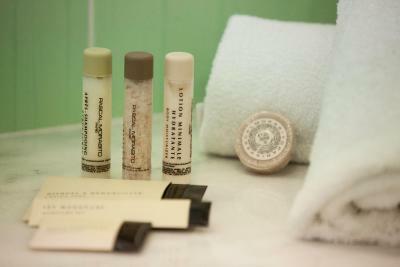 Everything you need for a top class lovely relaxing break. Beautiful clean pool and playground for kids! Cafe/bar open all day for drinks snacks ice cream. Lovely food if you eat there. Taxi/bus required to get to the village but this didn’t bother us. Really cannot fault it.